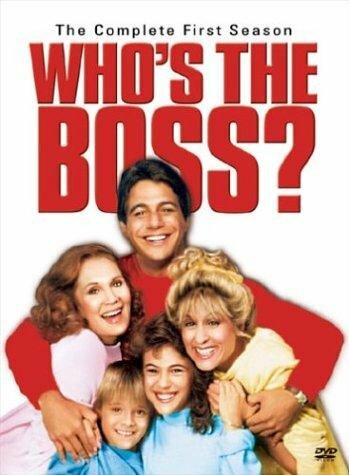 For this week’s “Things That Bring Back Memories” post, I am going to pick something in the topic of “TELEVISION” and go with “Who’s the Boss“. This television show, which aired on ABC, started in 1984, and was over in 1992. I always thought that it was interesting, back then, to see a woman who was an architect and a man as the housekeeper. Totally turned around the norm of what you usually saw back then. Who’s the Boss? is an American sitcom created by Martin Cohan and Blake Hunter, which aired on ABC from September 20, 1984 to April 25, 1992. Produced by Embassy Television (later Embassy Communications and ELP Communications), in association with Hunter-Cohan Productions and Columbia Pictures Television, the series starred Tony Danza as a retired major league baseball player who relocates to Fairfield, Connecticut to work as a live-in housekeeper for a divorced advertising executive, played by Judith Light. Also featured were Alyssa Milano, Danny Pintauro and Katherine Helmond. The show received positive reviews throughout most of its run, becoming one of the most popular sitcoms of the mid-to-late 1980s. The series was nominated for more than forty awards, including ten Primetime Emmy Award and five Golden Globe Award nominations, winning one of each. Also very successful in the ratings, Who’s the Boss? consistently ranked in the top ten in the final primetime ratings between the years of 1985 and 1989, and has since continued in syndication worldwide. Widower Anthony Morton “Tony” Micelli is a former second baseman for the St. Louis Cardinals who was forced to retire due to a shoulder injury. He wants to move out of Brooklyn to find a better environment for his daughter, Samantha. He ends up taking a job in upscale Fairfield, Connecticut, as a live-in housekeeper for divorced advertising executive Angela Bower and her son Jonathan. The Micellis moved into the Bower residence. Also frequenting is Angela’s feisty, sexually progressive mother, Mona Robinson. Mona dates all kinds of men, from college age to silver-haired CEOs. This portrayal of an “older woman” with an active social and sexual life was unusual for television at the time. Keeping ties with Tony’s and Samantha’s Brooklyn roots, motherly former neighbor Mrs. Rossini (Rhoda Gemignani) and several other friends turn up a few times each season, sometimes in New York, sometimes in Connecticut. Angela eventually strikes out on her own and opens her own ad firm in season three, while Tony decides to go back to school, enrolling in the same college that daughter Samantha would later attend in 1990. Samantha’s best friend Bonnie (Shana Lane-Block) is a recurring character during these seasons, while romance comes into her life in the form of boyfriend Jesse Nash (Scott Bloom) during her senior year of high school and into college. At the start of season eight, Tony and Angela finally acknowledge their love for each other. However, the series does not end with the widely expected marriage but on a more ambiguous note. This was due primarily to concerns by the network that a marriage, representing a definitive ending, could hurt syndication. Tony Danza, too, vehemently opposed the marriage, saying it would contradict the original purpose of the show. 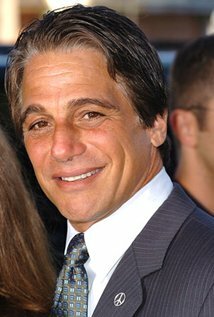 Tony Danza (Tony Micelli) was born on April 21, 1951 in Brooklyn, NY. He is an American actor, perhaps best known for starring on some of television’s most beloved and long-running series, including Taxi (1978-1983) and Who’s the Boss (1984-1992). Danza was born and raised in Brooklyn, New York, to Anne (Cammisa), a bookkeeper, and Matty Iadanza, a garbageman. His mother was an Italian immigrant, and his father was also of Italian descent. He grew up in Malverne, Long Island. Danza received a wrestling scholarship to the University of Dubuque in Iowa, where he earned a bachelor’s degree in history education. Before finding a job teaching, he found himself earning a living as professional boxer, envisioning himself the next Rocky Graziano. Changing his name to “Dangerous” Tony Danza, he entered the New York Golden Gloves in 1975. Shortly afterward, on Aug. 13, 1976, he started his professional boxing career. Fighting as a middleweight, Danza became a crowd favorite for his walk-in slugging style. He compiled a record of 9-3 with nine knockout victories, seven in the first round. It was during a gym workout that he was discovered for the part of Tony Banta on the ABC TV show Taxi (1978). Danza still had hopes of being a world champion and scored knockouts in 1978 and 1979 but, unable to secure a title shot, retired from boxing to dedicate himself totally to his acting career. Taxi was critically acclaimed, earning him a place in television history and making him a household name. He followed Taxi with a starring role in the classic ABC comedy series Who’s the Boss? (1984), which ran for eight seasons and broke all syndication records. He became known for his lovable sitcom personae. Eventually Tony explored his love for the stage, and among his many stage credits is his exciting run on Broadway in Mel Brooks’s hit musical The Producers, playing Max Bialystock (2006-2007), and his reprise of the role in the Las Vegas production at Paris Las Vegas (2007). It’s with great belief in the spirit of that motto that Tony participates in many charity efforts. In April of 2013, USA Today honored Tony at their annual National Make A Difference Day Awards for his commitment to helping others through his numerous charity efforts. Danza is married to his Tracy Robinson, and has three children. Judith Knight (Angela Bower) was born on February 9, 1949. She is an American actress and producer. She is a two-time Tony Award winner. Light made her professional stage debut in 1970, before making her Broadway debut in the 1975 revival of A Doll’s House. Her breakthrough role was in the ABC daytime soap opera One Life to Live from 1977 to 1983, where she played the role of Karen Wolek. For this role, she won two Daytime Emmy Awards for Outstanding Lead Actress in a Drama Series. She later starred as Angela Bower in the long-running ABC sitcom Who’s the Boss? from 1984 to 1992, and later starred in many television films and short-lived series. She played the recurring role of Elizabeth Donnelly in the NBC legal crime drama Law & Order: Special Victims Unit (2002–2010) and Claire Meade in the ABC comedy-drama Ugly Betty (2006–2010), for which she was nominated for a Primetime Emmy Award in 2007. She received her first nomination for a Tony Award in 2011, for her performance in the original Broadway play Lombardi. In 2012 and 2013, Light won two consecutive Tony Awards for Best Featured Actress in a Play, for her performances in Other Desert Cities and The Assembled Parties. From 2013 to 2014, Light played the role of villainous Judith Brown Ryland in the TNT drama series, Dallas. In 2014, she began starring as Shelly Pfefferman in the Amazon Studios critically acclaimed dark comedy-drama, Transparent for which she received Critics’ Choice Television Award nomination. Alyssa Milano (Samantha Micelli) was born on December 19, 1972, in Brooklyn, New York. She comes from an Italian-American family; her mother Lin Milano is a fashion designer and father Thomas Milano is a film music editor. Alyssa was born in a working-class neighborhood in Brooklyn and grew up in a modest house on Staten Island. One day her babysitter, who was an aspiring dancer, dragged Alyssa along to an open audition for the first national tour of “Annie”. However, it was Alyssa and not the sitter who was chosen from 1500 other girls for the role. So at the tender age of seven, with her mother in tow, Alyssa joined the tour as July, one of the orphans. After 18 months on the road Alyssa, who had begun to garner a reputation as an energetic and charismatic young actress, left Annie to be featured in off-Broadway productions and television commercials. 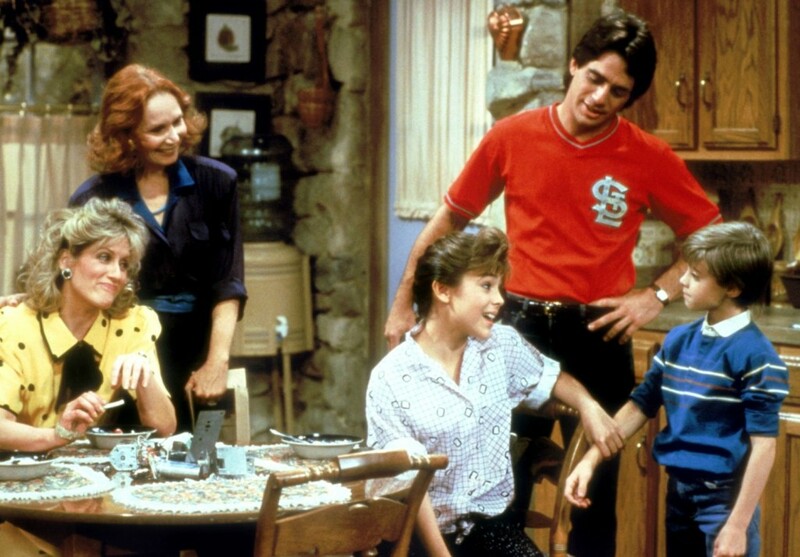 Then in 1983, at age 10, she landed her breakthrough role on the sitcom Who’s the Boss? (1984) as Tony Danza’s saccharine sweet daughter, “Samantha Micelli”, a kid whose native Brooklyn accent rivaled her TV dad’s. In order for Alyssa to accept the gig, the Milano family had to uproot and move 3,000 miles to Hollywood. 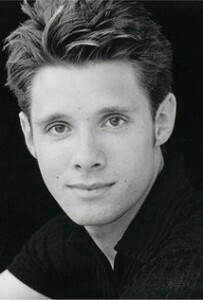 Danny Pintauro (Johnathan Bower) was born on January 6, 1976 in Milltown, New Jersey, on the son of Margaret L. and John J. Pintauro, a manager. In 1994 he took time off from professional acting and attended Middlesex County College in Edison, New Jersey, and later Stanford University to study English and theater; he graduated in 1998. He came out in 1997 in an interview with the National Enquirer tabloid. In April 2013 he was engaged to his boyfriend, Wil Tabares, and they married in April 2014. In 2015, Pintauro revealed in an interview with Oprah Winfrey that he has been HIV positive since 2003. Pintauro first appeared on the television soap opera As the World Turns as the original Paul Ryan and in the film Cujo. He first came to prominence on the television series Who’s the Boss?. After the conclusion of that series, he was less frequently cast. Pintauro went on to act in stage productions like The Velocity of Gary and Mommie Queerest. He also worked as a Tupperware sales representative and, as of 2013, was managing a restaurant in Las Vegas. 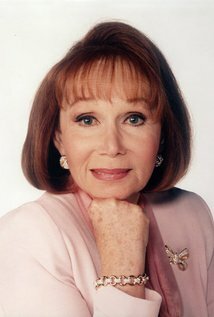 Katherine Helmond (Mona Robinson) was born on July 5, 1929, in Galveston, Texas. She was raised by her mother, Thelma Malone, and her grandmother; they were Irish Catholics. Young Katherine attended Catholic school, and appeared in numerous school plays and pageants. She took a job at a local theater while still in high school, hammering and sawing the scenery, cleaning the bathrooms and pulling the curtain. Since her stage debut in “As You Like It”, she worked in New York theaters during the 1950’s and 1960’s. She operated a summer theater in the Catskills for three seasons and also taught acting in university theater programs. She made her TV debut in 1962 but had to wait another 10 years until her breakthrough came in the 1970’s. In 1983 she studied at the Directing Workshop of the American Film Institute and then directed four episodes of the series Benson (1979) as well as episodes of Who’s the Boss? (1984). She also picked up Emmy nominations for her role as Mona Robinson, a liberated grandmother in “Who’s the Boss?”, and as Lois in Everybody Loves Raymond (1996). Although Helmond has been a bona-fide TV star since her “Soap” days. Katherine Helmond was married twice. She has no children. Although she was raised in a Catholic family, she turned to Buddhism in later years. She shares her time between her home in Los Angeles and homes in New York and London. Premiered on the same night as The Cosby Show, and ended on the same night as Growing Pains and MacGyver. The original ending for the series, as proposed by the writers, was for Angela and Tony to get married. 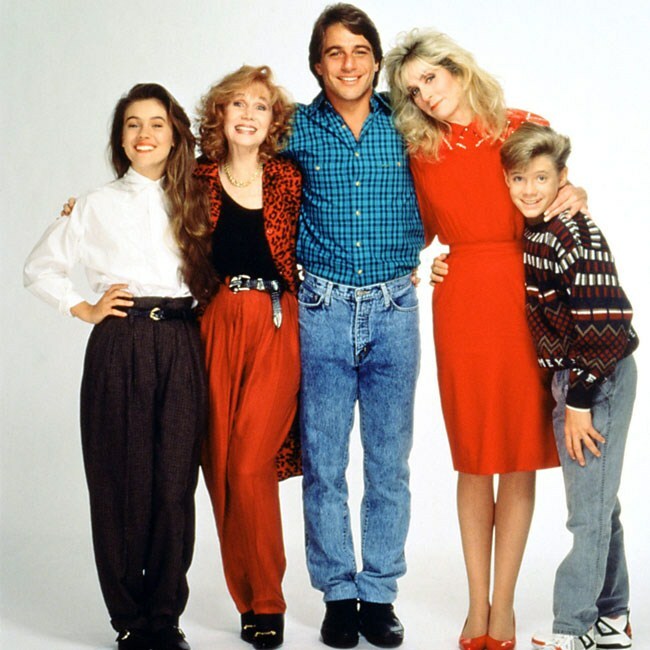 ABC executives, however, balked at this ending and were supported by Tony Danza, who was against having Tony and Angela get married in the series finale. So the series ended with Tony and Angela breaking up but with Tony appearing on Angela’s doorstep to apply for the housekeeper job in a scene that is almost identical to the opening scene in the pilot episode. After the show’s seventh season, Alyssa Milano tried to break out of her contract to pursue an academic career, but she was refused to be let go from the series. At the end of season three, the producers of the show decided to spin-off the Mona character into her own series. As a result, the season ended with a two-part episode where Mona moves away in order to run a hotel with her brother while Tony and Samantha move into Mona’s loft apartment. However, due to the fear that Mona’s departure might harm the success of the show, the plans for the spin-off were squashed by ABC executives and a tag sequence was added at the end of the two-parter which featured Mona returning home and Tony and Samantha moving back into Angela’s house. The exterior shots of the home used in the opening sequence as well as various points throughout the show’s run is in real life located on 13 Onondaga St., Rye, New York. Mona was originally intended to be Angela’s older sister, but producers were unable to find an age appropriate actress they liked for the part. As a result, they decided to redevelop Mona to be Angela’s mother instead. I remember this show. I haven’t seen it in years! I absolutely loved this show!!! I tuned in every week! It was always fun to watch. I don’t know why but this reminded me of the show The Facts of Life. Remember that one? I love Who’s the Boss! One of the best shows ever. I saw Tony Danza in a play in Las Vegas – he’s talented both on tv shows and in person.